Webrageous is expert in managing large ppc account with monthly spending of $30,000 till $100,000 or more. We are expert in this because we have been doing this from long time and that’s why we stand out in the market when it comes to managing big budget accounts. Most of our clients spend on average between $20,000 till $150,000 per month and most of them are working with us from more than 3 years because we provide them the result they expect by spending this big amount. Check out some of our testimonials here (Link to testimonial page). Finding most profitable keywords for your business. Managing budget and bids to get maximum ROI. Writing or Designing Creative ads and optimization. Setting up Conversions or Call Tracking. Daily monitoring to make sure your account is getting the best possible results. On-going optimization to get rid of low profitable keywords. Taking care of negative keywords. Taking care of quality score so that you pay less for higher ad position. Large accounts require special attention and our account managers monitor it on daily basis and do optimizations if they find out any opportunity. On average our account managers make around 500 plus changes in a month for a single account. Also have a look at how much we drop the CPC for another client. We know how to improve quality score so that you pay the less possible amount for a click. Below is the screenshot of the weekly report that we send our special clients every week. 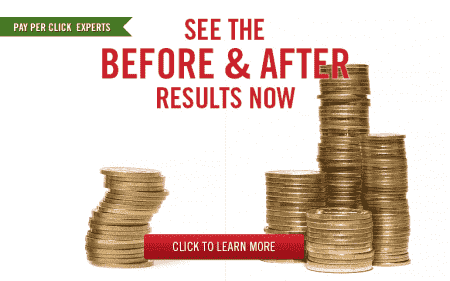 Check out how much we have improved the Cost per Lead. The main concern of this client was high Cost per Lead but we were able to bring it down within couple of weeks and now the client is very happy. Large accounts have a lot of spending so they get a lot of clicks as well and our job is to convert maximum number of clicks into customers or leads. We do the A/B testing of the landing pages to see which version converts best and then go with it. Lead form placements on a landing page. Click to call button design change or position change. Shorter Form vs Longer Form. Call to action button colors. Changing the content and banners. And much more there is no super rule to create a perfect landing page so continuous testing and improvement is require to make it perfect and we at Webrageous make sure that we help our clients in having the best landing page that converts clicks into conversion. Average Position drops below 2.0 for a campaign. Conversion Rate drops or increase. Cost Per conversion Increase or Decrease. Impressions or clicks drops or increases. Keywords or ads get disapproved. Campaign gets out of budget too quickly. These alerts notify us when something unexpected happens and we jump into it right away to fix the issue. Increase the budget by 20% on weekends. Increase the bid by 10% during working hours. Pause keywords with high spend or cost-per-conversion. Pause ads with high spend or cost-per-conversion. We can automate a lot of things in adwords to make the process easy to manageable and our alerts keep up updated about your account. If you spend between $30,000 till $100,000 and more and you are not happy with your current results than you have come to right place. We are experts in managing large or big budget accounts and we are pretty sure that we can provide you the best possible results for your campaigns. Please get in touch by filling out the form below or call us at (800) 645-9521.